My martian calender consists of 12 months each week has 13 days, and each month has 57 days plus 1 extra day every four months. Suggestions??? I wonder which would be easier to do, a calendar for venus, the moon or mars? There are many great systems of calendar used by old peoples of ancient races. Should we try and balance our system of weeks and months to that of Earth or should we use something completly different? Time is very important and time keeping on mars will be very important indeed. Maya, Arabic, Celtic runics, Indian, Saxon , Norse, Chinese, Greek, Egyptian all had very good systems. the pyramids were used to correspond to the movements of the stars in space and time? The Mars year or its sydonic period, is 779.9 days, so its orbital period is 686.5 days ( almost 687 E days ), an earth year is 365 days 5hrs 49 mins, is it better to base the MARS year on a sydonic based period, or base it in mars local time, maybe not? Muslims, Gregorians, Chinese, Jewish, Dominicans, Celts, Egyptians, Roman, Christians , Inca, Greek all understood the importance of the month concept and the lunar cycle became part of this calender. The old Greek calendar had a year of 354 days, and because of the 11 and a quater days needed to match the solar year they added another 90 days each year. A very good system but not the best, would it work on Mars?..I think not. The Greeks had to change their calander afterwards because of problems. The Jewish calendar is another ancient one, it is based on the moons, and has months of 29 and 30 days alternately. A veadar or inclinations of extra months are introduced and a month intercalated every 3rd year. The Jews veadar is introduced every 3rd, 6th, 8th 11th, 14th and 17th and 19th in the 20 year cycle. The Jewish calander is much more complicated than I have described, it is very good, but it is not an effective instrument for time measuring. The Original Roman calendar came from old Latin texts. It comprised of 10 months and 304 days, some 5 months having 31 days and 4-months had 30 days and 1 month had 29. It was good but it also had to see great change. The Calendar of Rome got lots of complaints and protests lodged because the calendar dates were so out of step with natural events and seasons. Julius Ceasar wanted to make radical changes. Now we see how important the moon was for the tracking of time and the earth monthly cycle. Should we use the moons of mars to establish the martian lunar clock? Or is this idea just loony? The moon Phobos is a very small moon, it lies about 9000 Km away, and has a period of just 0.319 days. Phobos viewed by a Rover appears to go backward to rise in the west and sets in the east 5 and a half hours after. I don't think phobos would be good for a martian month. Deimos is much better, it is the outermost moon so it appears slower in the sky. The moon is locked in synchronous rotations with mars. The satellites orbits with a period of 1.26 days while mars has a period of about 1.03 days. As a result Deimos looks almost still like in the sky from the point of view of a Spirit probe. It moves west about 10 degree in a period of 6 hrs. Deimos is a good moon with a sidereal period of 1.262 earthdays, 30 h 18 m. ( earth times ), but with the day where should we place our AM or our PM? The peoples of mars or the Martians should have their own words for days, and years. Maybe we shoudl use the Martian-sol for a Martian day based on NASA use during the Pathfinder, Viking, Spirit missions, No? What will we call the weeks, what should we call the months, what about a leap-years? The Sydonic based idea might be easier, but maybe much harder for the people living on mars. Bad time keeping, errors in trade, travel, suddenly mutiny and revolt. The Martian sidereal day is 40 minutes longer than the Earth sydonic day of 23h 56 m 4 s., and to describe it more 24 h 39 m 35 s = 88,775 sec. An initial simple way of coordinating Mars and Earth time is to set the clocks back 2 hours every three ' days, but this might be hell for the poor worker living on mars, working in the mines, trying to build solar pannels and now having to change time zones every few days. Is this fair? Should we try to fit Mars time into Earth time? Will mars time of 88,775.2 seconds be even? Dividing Mars time by 24 gives us 3699.97, maybe this is a bad idea? Is this the night sky view from mars? Now some more talk about how people measure time on Earth in the past, so we can get more ideas!! The ancient people living in Egypt had a system of measuring time that was based on the solar year. The Baylonians used a system of 12 months. Sometimes major corrections had to be made in the past. A person might say sorry its not 1742 October 15th ...the true date is the 2nd of September 1741..what?? and 30 in the other 11. This was a good calendar but not the greatest system. Mars has seasonal changes, Shouldn't we also include season in our Mars Calander?? The Chinese had an ancient, prehistoric calendar, it was made 2350 BC. Astronomers determined the equinoxes, they tried to reconcile the 354days of a lunar year with the 365 days of an astronomical year. The calendar was very complex with stems, branches and other spirals were attached. Because of business and trade the Chinese adopted the western calendar, the gregorian time was used and the Chinese calander was strictly forbidden by the Chinese government. Now here is a problem, what about festivals...Christmas, the Chinese NewYears, Thanksgiving, Halloween...how do we settle these days? Well we can fix this by comparing the Earth based and Martian Calendars, explorers and settlers can celebrate special days, whether civil or ceremonial, at the same time as they are being observed on the home planet of Earth. The natural Martian year is almost double the lenght of that on earth, maybe we should have 24 martian-months instead of twelve, and each mars season should have 6 martian-months? What is a martian month called, what should we name it? Name it after the planets, moons, people or constellations? Synchronization of time is important. 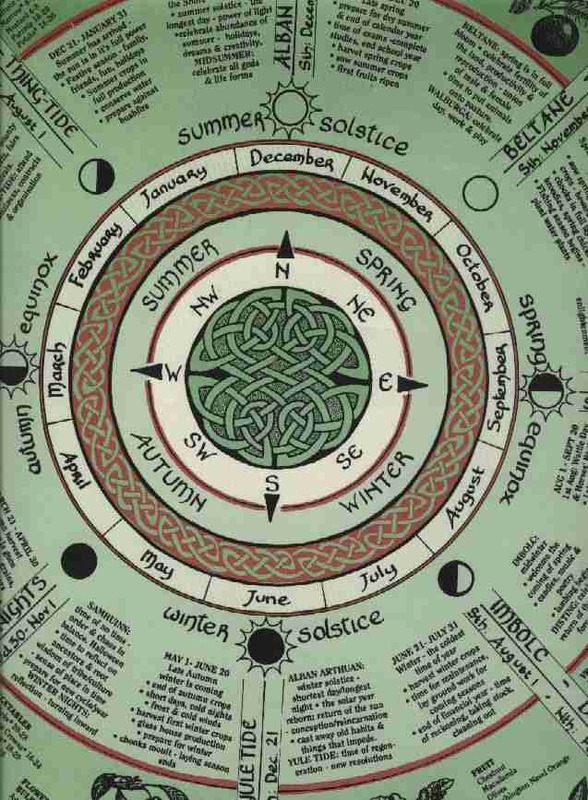 One way to keep the mars time clock correct is to keep mars in sync with nature simply by beginning each new calendar year on the day of the vernal equinox like some of the old races on earth tried to do. But we doing this we might be dropping time and hours each year in order to keep in sync, how will the martians stick it? What do we name monday? What is Sunday called on mars? Should we call them after features or stars in the mars sky? Maybe give them old earth names.... Lunae-day, Terraday, Waterday, Thorsday ...Olympusday, Solarday..? Time is very important for martian commerce, missions, launches and trade. What should we call an hour on mars, should it be named after one of its moons? We might also experiment with decimalized time units. If we decimilise a Mars-day or mars sol this gives us ...say 1O Mars hours lenght and each Martian hour has 100 Mars mins. Better than using 60, what about seconds, maybe we can change their units also? Can we change a mars second, deterime to fix it to another fixed value to equal Martian second as 1.03 Earth seconds, or is this a bad idea? Mars clocks and watches would look just like earth ones but would they be the same? Maybe its better for a Martian day, alarm clocks. But what about E-trade, business and other time keeping. The brave new spacemen and women and martian colonists will find it more useful to express the order of events in their lives in local terms, so we need a good system. What should we do with any extra time left over in our mars calander...Maybe allow the people of mars to get drunk and party after such a long 24 and half hour days...extra party time !!?? for the next future people of mars!!?? 14 months, 7 weeks in a month, 7 days in a week = 686 days in a year (martian). The Martian calander year has two midway points, Mars Rising, and Mars Falling. On Mars Falling, Mars is at its closest distancce to Earth (it only gets further away from Earth from this point on). On Mars Rising, Mars it at its farthest distance from Earth (it only gets closer to Earth from this point on). Thus, a Martian Year is first divided into two periods, Mars Rising & Mars Falling, based in relation to postion towards Earth (Just like spring and winter solstice). As for the names of the months, it may be easier if we retain the exsisting 12 found on the gregorian calander. I suggest the two additional names for the months be Deimos and Phobos, and all months receive a "M'" to denote Martian date. In the above example, the M is stripped out becuase Martains know it refers to Mars calander, and it is informal... Next would be the week (6th week in the month), followed by the day (4th day in the 6th week of the month of Deimos) in 2025 (year). Don't touch the second for telling time. Measure a day as a day on Mars, adjust as neccessary, when neccessary, when making long distance calls. One of the more rational systems I have seen. Balanced, practical and poetic all at once. And since I am writing a Mars novel, I think I have just discovered "Clark's Calendar"
But--but--where did the year number: 2025 come from and, if I follow your ingenious scheme, there's no tie-in with Earth-numbered years. Hope I missed something, because your calender somehow "feels" right. A welcome cup of coffee after any night of insomnia. I'm not sure how original my calendar is (google is such a humbling experience) though. I just did some math, looked at the options, and thought that this might be the path of least resistance. Time is relative, right? Dates are meaningless in and of themselves, it's the events tied to specific dates, or times of the year that give the dates meaning. Events, and meaning of those events are what define time. So that means a Terran day means very little to someone living and working on Mars. A day on Earth doesn’t change the fact that a Martian still has to get through his day, on Mars. So what events would be important to Martians? Well, as we on Earth follow our trail along the sun, Mars follows the trail of Earth. Mars Rise, Mars Fall. Earth, at least for a few centuries more, will be the center. As we derive life from the sun, so to will those in space derive life from Earth. That's the important bit that has to be taken into account. Which week it is, what month, or even year, is irrelevant. Half the world on Earth lives in another day already, yet we manage. The year is based on Earth time, depending on who you ask. Ask a Martian (my martians that is) and they will tell you that a year, or a Sol, is every 365 days. Dosen't matter where you are, who you are, or what color the sky is. A Sol is 365 days. So Mars would celebrate two Sol days during the course of it's Martian year. Yes, these dates move, the only place they don't is on Earth (or any other orbiting body with 365 day orbit rotation). Now, there are some who think that Mars should follow it's own course, it's own yearly count. They are a minority though, and perhaps one day in the future, enough people will agree with the sense in their ideas to make the switch. But that time has yet to arrive. Either way, the Martian New Year is still celebrated. People still look forward to the last Midnight Pause of the Martian year, and the beginning of the new Martian Year. M’January: 42, Sol 2025 (M’04) Rising; (Martian Month: Martian Day of the Month, Human Year (Martian Year) Orbital position). And Bill, feel free. Just send me a signed copy of the finished book. Sorry, but that long, long date specification would befuddle me with its irrelevance. I question the need for "months," having lived in Sweden where the days are numbered consecutively, called "business days" as well as by the month. So, I would think it more practical (since there is no Moon to govern life processes) on Mars simply to count the "sols" of the "smear" consecutively, starting with Smear One, and go on from there. Important astronomical dates such as Earth Opposition Day would change, while historical rememberance dates such as Founders Day would remain fixed. Dates and times on Earth could be read out from a digital wristwatch, in Earth Mode. Regarding hours, minutes and seconds (since the subject is bound to come up), I would retain the same time intervals just to avoid complications, and specify time zones (as on Earth) around the planet, resetting to 00:00:00 at the end of each Martian sol, regardless of the indicated time in Earth units. When communicating with Earth, or any other off-planet body and/or spacecraft, stick with Earth Universal Coordinated Time designation. I'd sure like to see a discussion of how UTC can be made to function, e.g., commercially, allowing for the variable propagation delays due to orbital inter-relationships. Today is the 9th of March, in the year of our lord, two thousand and four. Yet we write it as March 9, 2004. Or, if you happen to be in another place and time, 9th of March, 2004. Or a dozen abbreviations such as 9/03/04 or 03/09/04 or 03/09/2004, etc. I agree, most Martians would have no use for such a long and formal dating system. Telling time is a language, a matter of translation- just like money, just like any other language. M'Jan: 42, +2025 (the plus denotes Rising, a negative would signify Falling. Or, 1.7.6.+25, or simply 1.42.25, or 1.7.6.25 (without any orbital signifier). Which one you use depends on your needs. The idea though is to be flexible enough to handle all types of needs, not to provide a hard and fast rule for everyone, for all times. I'll be happy if this survives a thousand years though. Swedes would write 09/03-04 for today, by the way, which I find completely unambiguous. Well, I'm stumped. What's so ambigous about my Martian calander? It maintains cyclical counts for Years to provide a common basis for all Humans, wherever they may be. By maintaining Sol day (i.e. Jan 1, Earth), it becomes easier for off-worlders to maintain better track of the seasonal days of note on Earth. One Christmas per Sol, one Easter per Sol, one Ramadan per Sol. The dates that these would be observed are dictated by Earth, not Mars. This is part of the cultural weight future Martians will contend with, and which they will not be able to really address until after they accept their own Martian orbit as the defacto cyclical count for years. "Every turn of the Martian screw, is two for Terra's blue." Yet that confrontation, this relaization, will not happen until the first generation of martians come into their own. When a Martian year has more relevance than any Terran year. It's something that Terra can't win either since the cards are in Mars favour. Whatever unique Martian holidays develop, they will be observed on the same day, like the Martian New Year's Day. That dosen't change, so it provides a constant to which people will be more responsive too. Those funny Sol days that are always moving are so hard to keep track of anyway... see. When I get up in the morning, I want to read the latest Los Angeles Times; what's it's date, anyway? I will owe the IRS (American income tax agency) my taxes on April 15 of every Gregorian year; how long is that from today? My niece's birthday is May 15 and I have to send her an electronic birthday card and order her a gift from Amazon.com; oh God, when is May 15, anyway? I was born on October 6; when do I celebrate my birthday? I have to send in my absentee ballot for the Presidential election by November 1st; how many days do I have left before sending it in? I owe a mortgage payment on the first of every Gregorian month on the house I am renting out for the next few years; when do I send the electronic payment? You get the idea. Mars residents will have enormously complex emotional, legal, and other ties to Earth, so they will have to know not only what today is on Mars by terrestrial standards, but how long from today some other terrestrial date is. For this reason I think a 24 hour clock is essential. A seven day week (Monsol, Tuesol, Wednesol, Thursol, Frisol, Satursol, Sunsol, to be exact, because they won't stay the same as Earth) will facilitate deeply held terrestrial customs such as worshipping every Friday/sol (Islam), Saturday/sol (Judaism), and Sunday/sol (Christianity). I think it is also easiest to stick to a modified Gregorian calendar that stays aligned with the terrestrial calendar. This is simple: create an Areogregorian calendar of 355 sols per year (because 365 days are 355 sols). One does this by dropping the 31st day of the seven months with 31 days, and shortening three other months to 29 days (which makes February look more normal). Thus Jan=30 sols, Feb=28 or 29 sols, Mar=30 sols, Apr=29 sols, May=30 sols, June=30 sols, July=30 sols, Au=30 sols, Sept=29 sols, Oct=30 sols, Nov =29 sols, Dec=30 sols. As a result the answer to the question "when to I pay my taxes?" is simple: I pay them on April 15 and today is March 10, so I have a month and five days. This does not mean one ignores the Martian seasons. I'd celebrate the equinoxes, for example. But they won't occur the same day every year, they'd float around the calendar. Muslim and Jewish holidays already do this, and Christian ones tied to Easter move around some as well. I suspect there are some Martian yearly rhythms that will develop also. I'd run Martian elections once every Martian year (which in my novel I call an "annum," the adjectival form being "annumal," pronounced "ann-you-mal" on analogy with "annual."). If people are living inside domes, they certainly won't have an intimate connection with the Martian seasons. In fact, it would probably be best to run Martian agriculture at the equator on a "semiannumal" schedule. When the sun is over the equator (the equinoxes) it would be summer; when the sun is as far north or south as possible (the solstices) I'd partially cover the domes over to make the "night" longer for the plants, let the interior temperature fall to winter levels in the domes filled with temperate climate vegetation, and create a winter. The plants would experience two years of 334 sols every annum. If one did that, the interior seasons would march roughly with the exterior seasons, but not so much that one would want to abandon an aerogregorian calendar. I was born on Dec 31 (an example). A day that does not exsist on Mars. Was I never born? Would I celebrate my birthday on the 30th, or the 1st of Jan? This is just the tip of the ice-berg in terms of problems with trying to make a Martian calander based on Terran cycles. It just dosen't work. It makes no sense, and it has a completely artifical feel to it. Every single terran calander is based on the environmental constraints and observations of Earth, and her orbit. No one tries to make the orbit of Earth and the environmental conditions meet a predefined calander. Don't order a mountain to move and expect it to. Now, the 24 hours you note Rob, does that mean Mars would have an artifical day? Would we drop out the 39 extra minutes? If so, wouldn't we be moving the 'morning' by nearly 40 minutes, every day? Eventually, we'll be getting up in the dark, and going to bed at sunrise. All so we know when to pay our taxes and what the latest news is from LA (more foreigners getting elected probably). Call the days whatever you want, call the months whatever you want- measure each however you want, but don't mess with the basis of what constutites a day, which is based on the environmental conditions of Mars. As for Martian seasonal conditions, true, they won't be as pronounced- yet they will deal with 'dust' season, times of greater or lesser maximum solar radiation, orbital position to Earth or other inhabited bodies outside Earth. Look through the eyes of your Martians Rob, stop looking from the outside in. By the way, I do enjoy your Mars Story. I'm glad someone's reading the novel! People born on December 31 have the same problem as those born February 29; they have to decide when to celebrate their birthday. If you get to Mars, I suggest you celebrate BOTH days instead. 1. The timeslip, as in Kim Stanley Robinson's novels. I don't like this option because a civilized society simply can't have 39 minutes of every day not accounted for. When a murder happens, you need to chart a timeline for the murder and having 39 minutes you can't count and keep track of is not practical or wise. 2. You can use Martian seconds and minutes, which are 1.022 times the length of terrestrial seconds and minutes, thereby making a sol 24 hours long. Advantage: clocks and chronometers work on Mars. Disdvantage: Scientists have to use two kinds of time measurement systems, one for their work and one for figuring out when they pick up the kids from school. 3. You use chronometers that go from 0:00 to 24:39:35 and then back to midnight. Advantage: You use the same minutes and seconds as on Earth. The extra time falls at night when you can sleep or relax, and not when you are at work. Disadvantage: can't use ordinary clocks, looks funny. But I favor this alternative. I really do not buy the argument that calendars have to keep track of the seasons. That was true when the big purpose was to figure out when to plant crops. Today, calendars are just an arbitrary system for keep track of time. On Mars, few people will want to know about the Martian seasons because they will live in a bubble. They will want to know when the dust storm season falls, but that doesn't have to fall on the same days every year. Inside, crops will be on all sorts of different cycles. Some will be in domes that cycle four growing seasons per Martian year. Others may cycle through three per Martian year because the crops need a longer growing season. Other domes may entirely ignore the Martian year; corn needs about 90 days to grow, so a dome devoted just to corn would probably run on about a 100 day cycle. So it seems to me that practicality will link the Martian calendar with the terrestrial calendar, especially in the early years; and then no one will want to change their habits and switch. Martian calendars that are totally new will have the endurance of the calendar the French Revolution tried to use. Most educated people have heard of the month of Thermidor and can guess it fell in the summer, but no one remembers the calendar any more or uses it. clark and RobS both make valid points. Struggles over the choice of calendar will highlight the emotional and psychological stresses related to forming a new society very far away from home. Voila! I can truly say "I" agree with BOTH of you. RobS, I agree with your option #3 for the 24 hour day. As we have already smashed valuable probes into Mars over a metric/English conversion error, Mars seconds (m-sec) and Terran seconds (t-sec) seem like a recipe for disaster, at least IMHO. Timeslip is charming but totally impractical, as you say. Still, I recall Josh Cryer (IIRC) proposing to modify a Casio digital watch to run on m-sec time by adjusting the microchip. That might be a good fundraiser novelty item for the Mars Society. Just mark it clearly "Not for Terran Use"
They made exactly these kinds of watches for the MER mission. They definitely chose option #2: Martian seconds and minutes 1.022 longer than the Earth's. I'd love to read that part of your novel! P.S. : One disadvantage of a 24.6 hour day; the planet needs 24.6 time zones! Or 24 time zones, one about 24 degrees wide. Okay, if you want to change how we calculate a second to give Mars a 24 hour clock, you are 'chrono-forming' Mars. Bending her to our own human sensibilities. We Humans like our 24 hour days, just like we like our gravity 1g. Nice and Terr'n like. But lovely Mars is red, not blue. Her waltz is a little slower, a little more lazy (and graceful) across the celestial dance floor. Let's be kind gentlemen, and enjoy the dance with the lady as long as we can. You never know when the music will stop! Now, this all goes hand in hand with how we look at our days with Mars to begin with. She is a woman who is warm by day, but at night, her frozen rage can chill any of the fiercest hearts. Not many would, or should, brave the empty darkness of midnight desert where none can hear you scream. And, after all, how the sun shines in your neck of the woods is more meaningful than all the weather reports from Earth. I agree that when some leave the love of Terra for sister Mars, they will leave part of their heart with their girl back home. All those holidays and special occasions, those dark moments that take forever to heal- it all leaves a mark. You'll be surprised by the occasional card, or birthday note, and feel ashamed that you didn't remember theirs. You'll take steps to make sure that doesn’t happen again, even if it is a little bit hard, or tricky. After all, counting a few score and some dozen odd days is as easy as singing about bottles on a wall. So we put together a calendar, one that let's us dance at an easy pace, one that let's us know our mistress's mood, one that reminds us when to call home, and, most importantly, one that does it all. There's lot's of ways to do this, and that's all I'm trying to do. In truth, I cover the issue more in passing than in detail. It certainly is not resolved, although these recent posts give me incentive to flesh it out more. One character whines a little that Mars needs its own calendar, time to exert its own cultural independence and there is some discussion elsewhere when a holiday will be celebrated simultaneously on both planets and Earth chooses the more convenient time for itself. Let the date be the anniversary of the first Manned landing. I hope my colorful, or my rather inept attempt at some lighthearted fun, is not taken the wrong way. Okay, here is a limited draft snippet on the calendar question. Actually, this passage is the opening section of the Authors Note that begins the entire book. My fictional author is himself a character as well as narrator, story teller and writer of history. As I compose these words, I retain vivid memories of our recent joyful commemoration of the 62nd anniversary of the first human steps taken on the planet Mars. Even today, using unsophisticated chronometers, I can easily calculate how many years, days, hours and even seconds have elapsed since one man’s small step marked yet another giant leap for mankind. Yet those dates and times - - well known to all - - mask a continuing controversy; for if time were measured by the rhythms and cycles of our present and future home world, fewer than thirty Martian years would have passed since that historic day. It remains regrettable that our common human race has yet to resolve the political, practical and poetical implications that arise from a divergent counting of time. The establishment of a universally accepted Martian calendar remains urgent, unfinished business. In the pages that follow I shall designate dates in conformity with the usages and customs of Earth and I undertake to observe such conventions scrupulously, notwithstanding my own personal feelings on the matter, which have been widely publicized elsewhere and need not be repeated here. Yet for my present purposes the form of measurement is not important, as true history cannot be told through a chronological recitation of people, places and events, no matter how exacting. History is not science and chronos is not kairos. As you can see I give it a glancing blow here. But since the author cares deeply (like clark) for a unique Marsian calendar, the issue will resurface from time to time despite his protestations that it wont. RobS, given the engineering slant to this board you may be among a small number of people here who know the word kairos - - I first encountered it myself within the past year and immediately snagged it as good word for one intended major theme of my book. Okay Bill, you stole my thunder. And I was all ready to ask you if you were referring to the Greek interpretation, or the later Chrisitan one. Kairos is a great word. Maybe this is the kairos to explain it! What does "kairos" mean? Now that is a good question not easily answered. Here are two links that I like, personally. In both senses, an artist (an archer, a weaver, an orator) must seize upon the crucial moment to perform accurately and skillfully in order to achieve a goal. The archer will connect suddenly and impactfully with his target; the weaver will forge a lasting bond upon which he can later build. It should not surprise, then, that the sophists seized upon "kairos" as a term defining the goal of effective communication. To recognize the audience quickly and make a lasting first impression worked hand-in-glove with building a rhetor/audience bond that would last at least through the duration of the argument at hand. Aristotle himself identifies kairos as intrinsically related to audience--that is, it is important to get the attention of the audience, but to occasionally choose a moment to re-awaken them to the attention of the speaker.That moment, recognized, chosen and acted upon, is kairotic or interchangeably, kairic. As for humans getting to Mars, we must recognize the right moment and then seize that moment with skill and accuracy and decisiveness. Why has Zubrin chosen to make a stand on Hubble? Even to the point of using an outrageous word like "cowardice" ? Aristotle himself identifies kairos as intrinsically related to audience--that is, it is important to get the attention of the audience, but to occasionally choose a moment to re-awaken them to the attention of the speaker. building a rhetor/audience bond that would last at least through the duration of the argument at hand. I think what we call the days, or months, or how many days in a week, or month are irrelevant. Nothing is inherently better than anything else in thie regard. But I firmly believe that living in space is sufficiently different from living on Earth to cause certain changes in our behviour, and our perspective. We all share similar environmental stressors, which lead to us seeing the world in pretty much the same way (more or less, in a generaly vague kind of way). This will not be true for them green-eyed future Martians and their Terran cousins. Longer days, longer years, and a lack of similar weather conditions will cause some of these changes. Why are seasons important? Farming. Hundreds of thousands of years of breeding and farming have built it into us. Space? Seasons are irrelevant, and so, like the appendics, their importance will lessen with time. At least seasons as we Terran's know it. Knowing how long a communication delay is, or whent he optimal orbital trajectory to Earth is, or back to Mars will be more important that what day Christmas falls on. "Seize the moment before the moment seizes you."